These Ausbox’s were for a heavy diesel fitter/mechanic, being fitted to a small truck, not a ute. 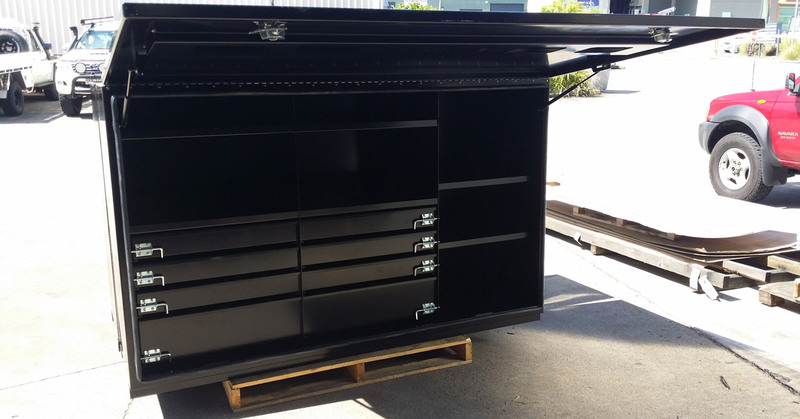 Box sizes were 2000mm long x 600mm wide x 1200mm high. 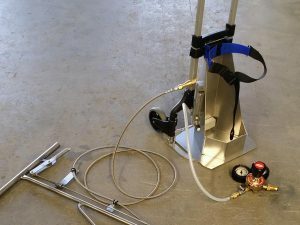 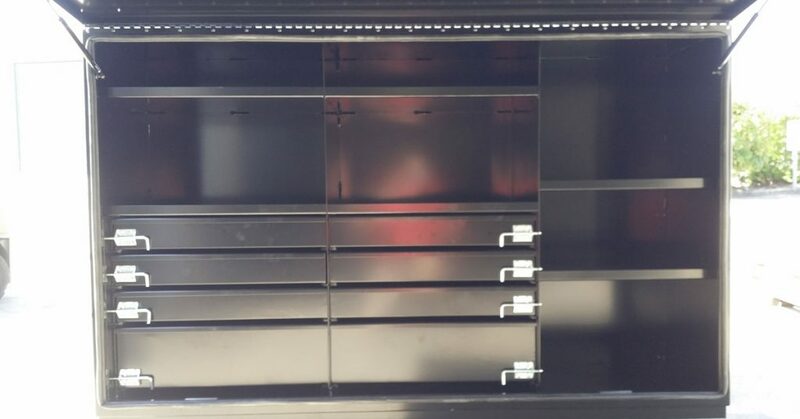 They had a black powder coat which is not a selection that is made often. 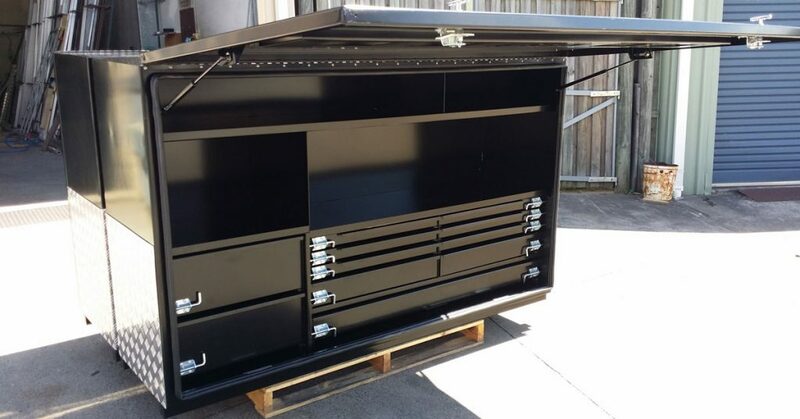 But it’s something different and certainly looks the goods. 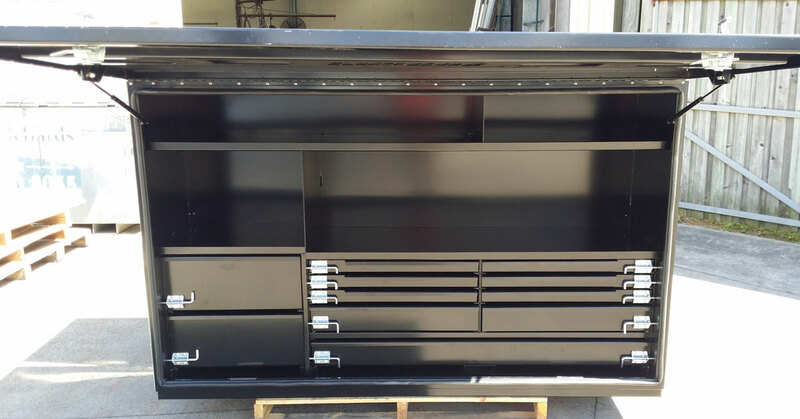 The customer selected black because greasy marks don’t show up as easily. 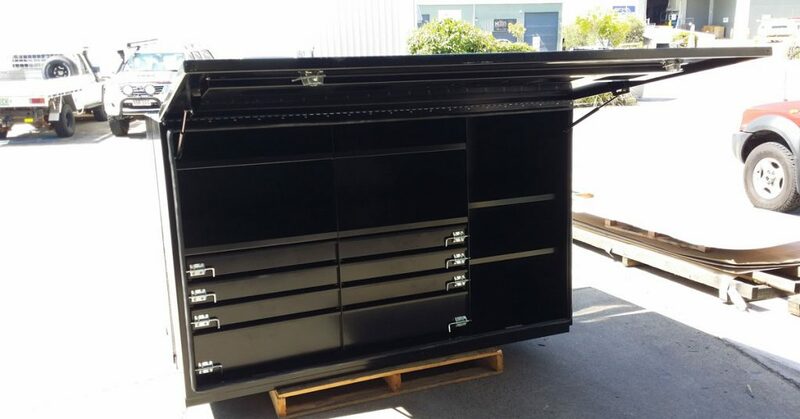 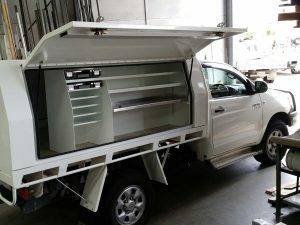 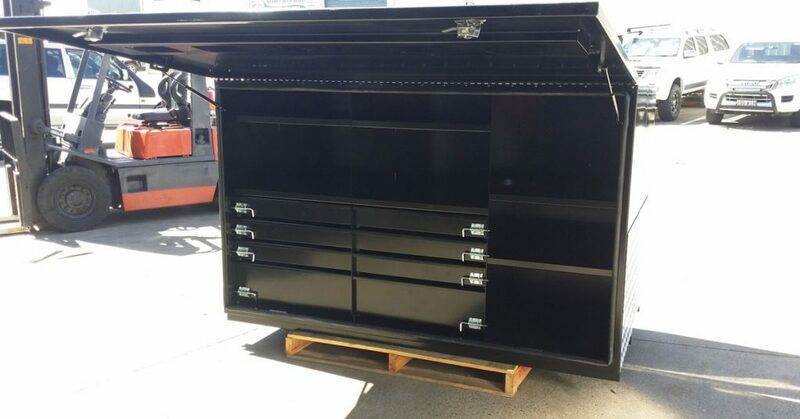 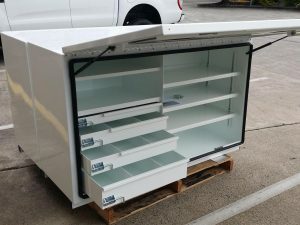 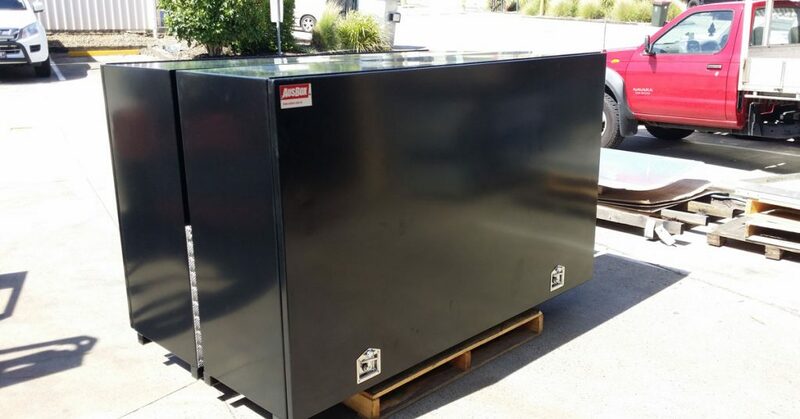 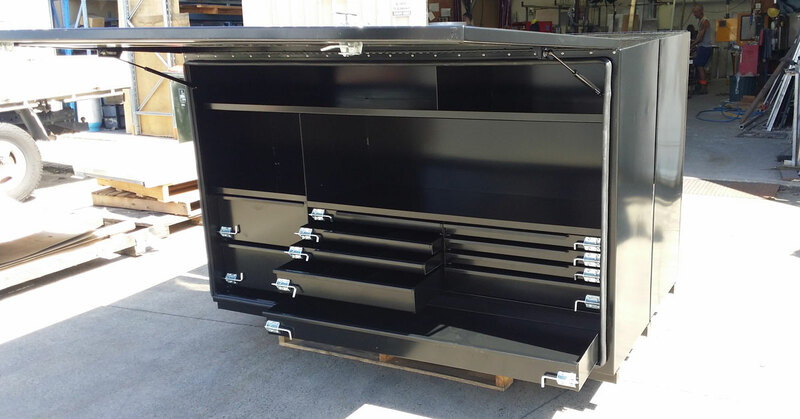 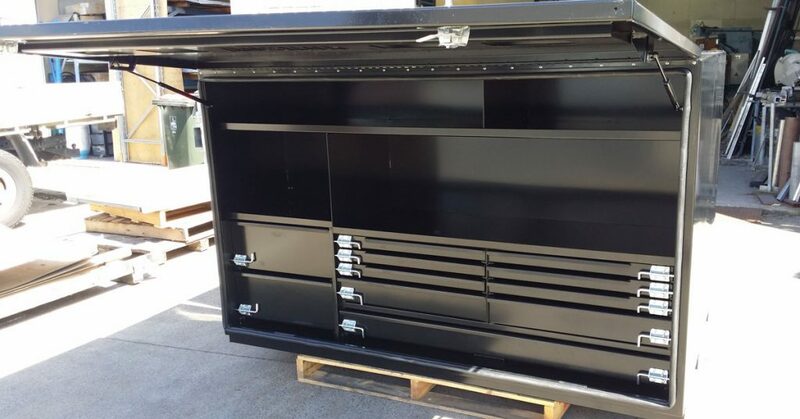 At Ausbox, we deliver it all to suit your needs when it comes to truck or ute tool boxes and canopies.